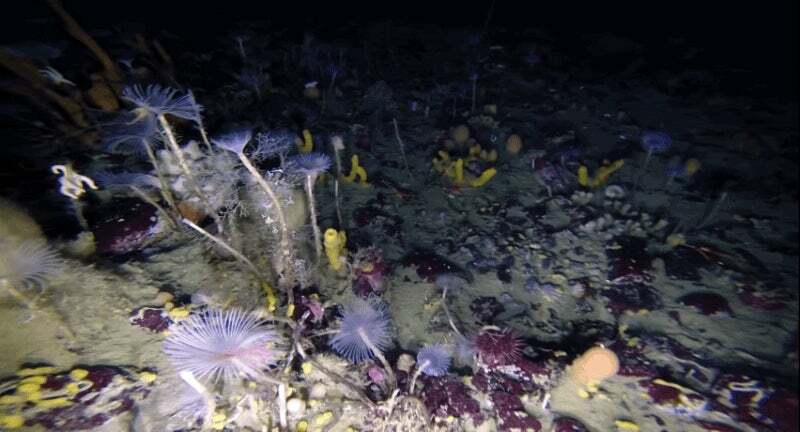 A remotely operated sub has captured stunning images of the Antarctic seafloor, revealing a surprisingly dynamic and colourful world filled with spidery starfish, coconut-shaped sponges, and dandelion-like worms. It may be stark and barren on the surface, but the seafloor below Antarctica is bursting with life, filled with sponges, sea spiders, urchins, sea cucumbers, and sea stars. This colourful, alien-like seascape was recorded by a Remotely Operated Vehicle (ROV) dispatched by Australian government scientists exploring the seafloor at O'Brien Bay, near Casey research station in East Antarctica. "These communities live in water that is -1.5 degrees C [29 degrees F] year round and are covered in 1.5 metre thick sea ice for 10 months of the year," said Australian Antarctic Division biologist Glenn Johnstone in a statement. "Occasionally an iceberg may move around and wipe out an unlucky community, but mostly the sea ice provides protection from the storms that rage above, making it a relatively stable environment in which biodiversity can flourish." The researchers are studying the acidity, oxygen, salinity, and temperatures of these waters, and this footage came as a bonus. Sadly, Antarctica may be one of the first places where we'll get see the detrimental effects of ocean acidification in action. "Carbon dioxide is more soluble in cold water. 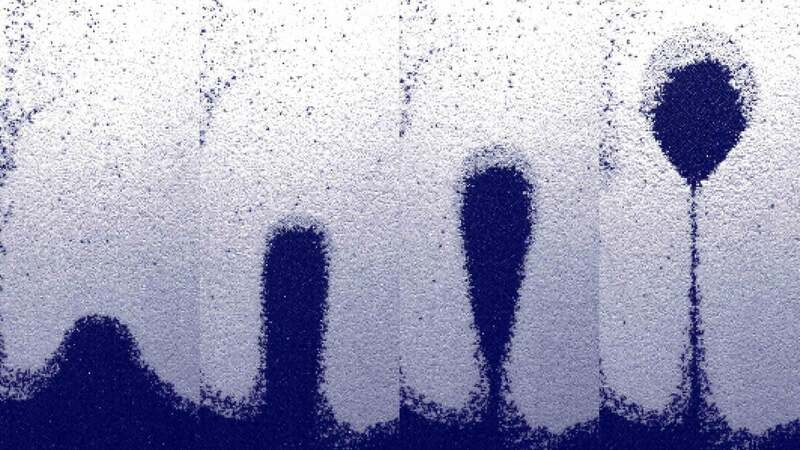 Polar waters are acidifying at twice the rate of tropical or temperate regions, so we expect these ecosystems to be among the first impacted from ocean acidification," said project leader Johnny Stark. "Research shows the pink encrusting algae, known as crustose coralline algae, may decrease in extent in a more acidic future ocean, as it incorporates calcium into its structure, and this becomes harder for organisms to obtain as the acidity of the seawater increases." Fascinatingly, life can also be found clinging to the Antarctic sea ice itself. Back in 2014, researchers with the NSF's ANDRILL Antarctic drilling program stumbled upon an undiscovered species of sea anemone living upside down on the ice. The ocean in-and-around Antarctica, like so much of the world's oceans, are still revealing their many secrets.